Clogged dryer vents alone cause about 15,000 fires each year. They are also responsible for an inefficient drying process. Which is why dryer vent cleaning is something that should be performed regularly if you want your home to be energy efficient as well as fire-safe. Dryer vents before and after the lint buildup was removed. Don’t live with an unnecessary fire hazard in your home. Schedule a free dryer vent inspection with HVAC Experts, and we’ll make sure your dryer ducts are clean, safe and efficient. Drying clothes takes longer than usual. Clothes are hotter than normal after drying. Vent hood doesn’t open while dryer is in use. When the lint builds up in the dryer exhaust duct, it makes your dryer work harder and longer to maintain the airflow it needs. This means that your dryer becomes inefficient over time as it takes longer to dry your clothes and as a result uses more energy and increases your electrical bill. As the lint continues to build up, your dryer may overheat, forcing the safety switch to go off and on quite a few times during one drying cycle, and eventually leads to your dryer shutting down. Fortunately, the worry of living without a dryer, affording costly repairs or buying a new machine can be avoided if you notice the warning signs of clogged vents early on and contact a reputable dryer duct cleaning contractor as soon as you can. Why should you consider cleaning dryer ducts?  Dryer air duct cleaning generally should be conducted every 2-3 years, depending on how often you use your dryer because when left unattended for longer periods of time it can become a fire hazard that is otherwise easy to avoid. Increase the fire safety in your home. Save your time by reducing dryer time. Enjoy a reduced energy bill because your dryer will be more energy efficient. Maintaining clean dryer vents is also beneficial if you want to reduce the wear and tear your clothes go through when drying. Because your dryer works more efficiently, it reduces the drying time, keeping your clothes looking good for a much longer time. So, if it’s been awhile since someone inspected your dryer duct, schedule a free inspection with us and we’ll help you improve your dryer’s energy efficiency. 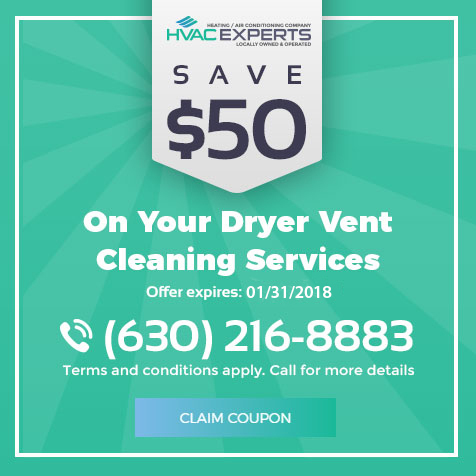 When you’re looking for someone who cleans dryer vents, know that HVAC Experts remove all lint and debris buildup and clogs when cleaning the dryer vent in your Chicago home, ensuring proper airflow through the ventilation system, and improving your fire safety. 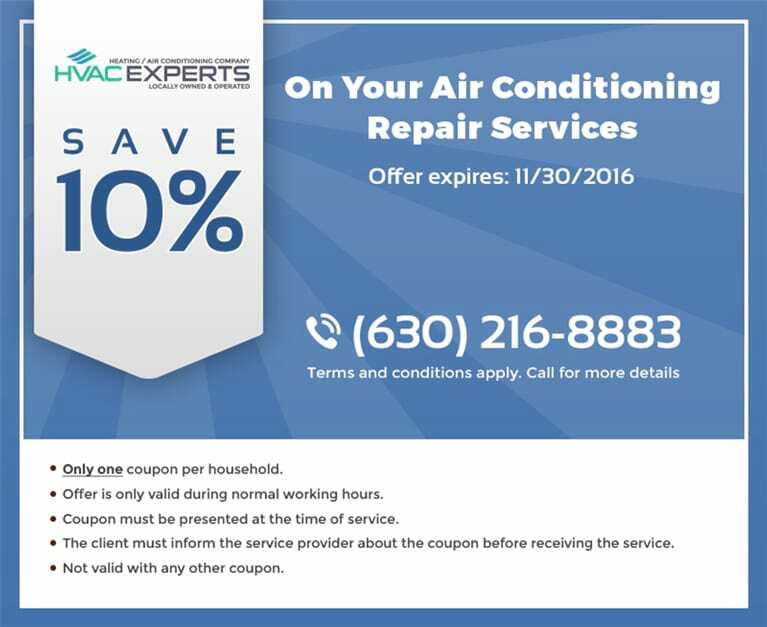 We also inspect the rest of the system and suggest our air duct cleaning services if we notice any problems or hazards. Being true professionals of our trade, we provide free estimates and thorough inspections. We don’t just clean the vents - we check for any other possible problems and bring them to your attention if we find any. Get rid of the silent fire hazard of your home - contact HVAC Experts for professional dryer vent cleaning services in Chicago! 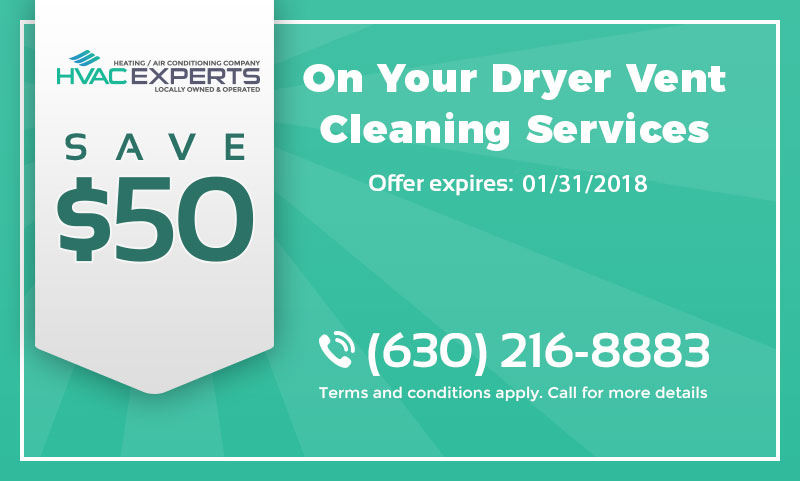 Save $50 on your dryer vent cleaning services!